Santa Fe, New Mexico, ca. 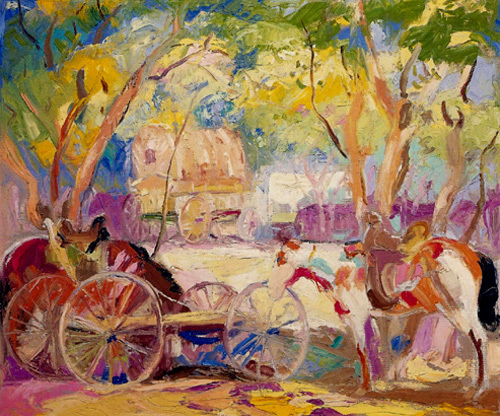 1922, 18" x 21", oil on canvas. All artwork, illustrations, layout concepts, and material on this entire web site are owned and copyrighted © by the Krehbiel Corporation and are protected by U.S. and international copyright laws. Unauthorized use is prohibited, and images are protected with a digital watermark. However, please do not hesitate to contact us regarding permission to use images or for further information and assistance.